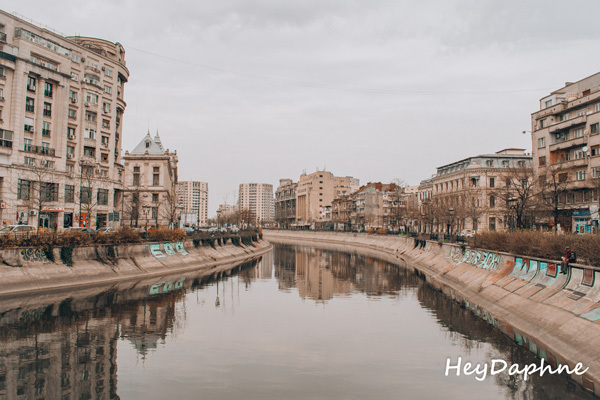 Bucharest left me with the feeling that despite all the efforts made by the city to evolve and come closer to the other Western capitals, it does not and probably does not want to get rid of its Communist past, which still haunts it. On the other hand, this strange alloy of communism and capitalism, the history and the liveliness of this city are quite good reasons themselves to visit Bucharest. The Palace of Parliament (Palatul Parlamentului) is the strongest seal that Communism and Ceausescu left in Bucharest. This is one of those ugly but notable attractions that create a variety of thoughts and feelings to the visitor. 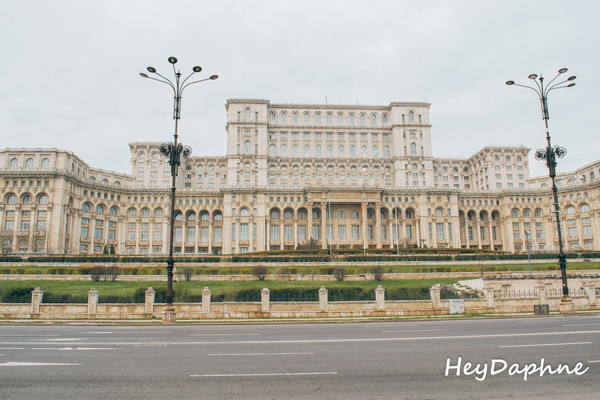 The Palace of Parliament is the second largest public administration building in the world after the US Pentagon, with 1100 rooms and 8 underground levels, the last of which is linked to 20 kms of catacombs with other government buildings in the city, as Ceausescu was afraid of a nuclear war. To visit the Palace of Parliament, you need to have a passport or ID with you and also to book a tour through the official website. If I had to choose the most beautiful building in Bucharest, it would be without a second thought the Romanian Athenaeum. 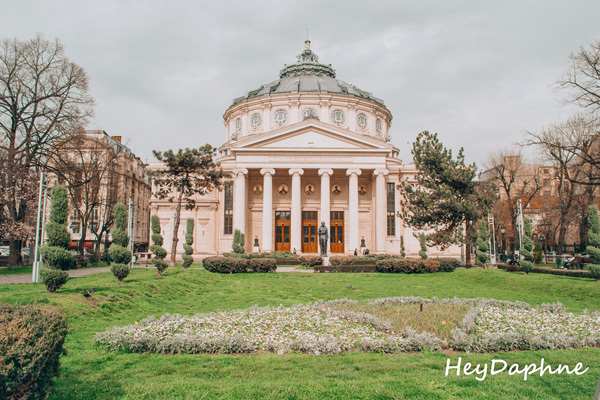 Romanian Athenaeum is the city's Concert Hall, and even if you are not a fan of this kind of music, you must visit it to admire its impressive romantic neoclassical architecture, the beautiful garden and the amazing frescoes in the inside. 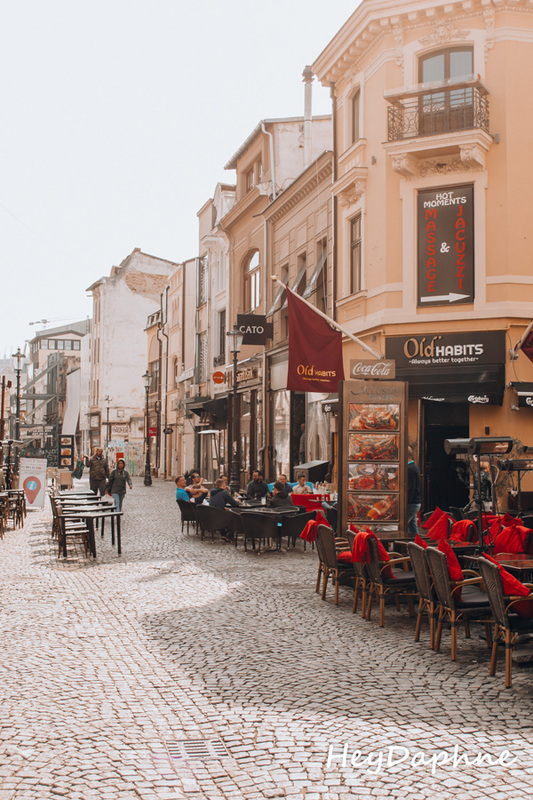 The Old Town of Bucharest is probably the newest old town in the world since it was created just a few years ago due to the need of the locals to have a place in the city center where they can meet each other and where many restaurants, cafes and bars will be gathered. 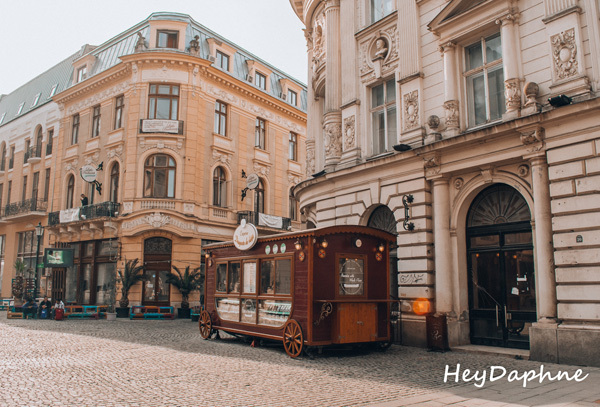 Beyond the ideal place to stay if you visit the city, the Old Town is also an ideal place to walk around since it consists of beautiful pedestrian streets full of shops. 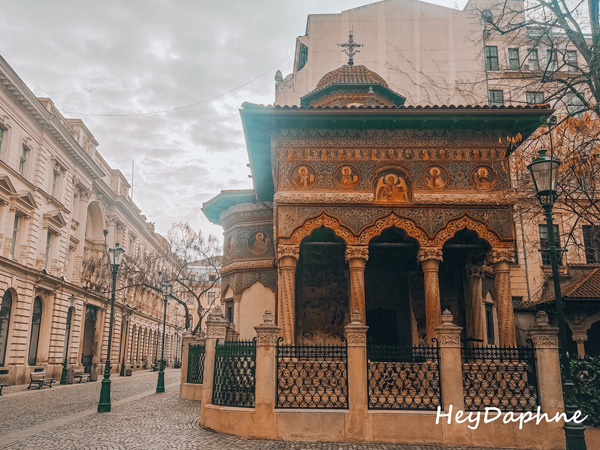 Also, many of the most important sights of Bucharest, such as the National History Museum of Romania, the Macca Villacrosse Passage, the Curtea Veche and the Church of St. Nicholas are located in this area. 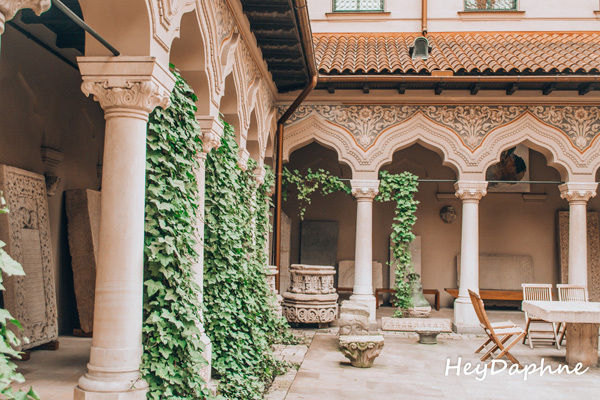 Stavropoleos Monastery is also located in the Old Town of Bucharest, and in my opinion is one of the most beautiful sights of the city. It is an Orthodox temple dedicated to the Archangels Michael and Gabriel. The temple was built in 1742 under the rule of Nicholas Mavrokordatos but the biggest part of it was destroyed by the earthquakes that followed in the following years. Today only the main temple is preserved, next to which there is a beautiful small courtyard and a 20th century building where a library and a collection of pictures and frescoes that have survived from the past is housed. It is strange how a bookstore managed to become one of the city's most visited sights in just a few years. In the heart of Bucharest's Old Town, Carturesti Carusel welcomes a big number of visitors every day and the reason is very simple. It's one of the most beautiful and photogenic bookstores in the world! In addition to thousands of books, here you will find very nice souvenirs and a great bistro on the top floor. 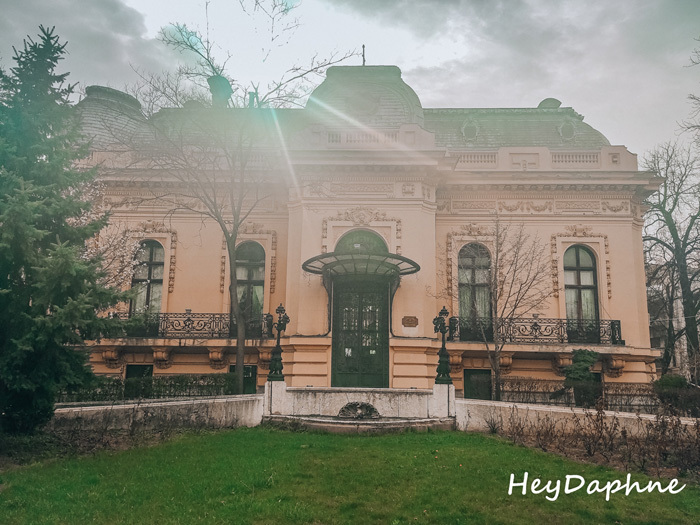 Herăstrău Park is located in the northern part of the city, next to the arch of triumph and is so big that you can spend a whole day there. 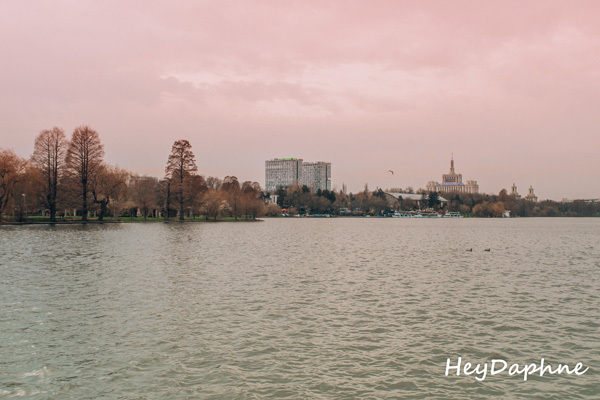 The total area of Herăstrău Park is 187 hectares, with the lake at its center covering almost half the surface of the park. We visited it during Easter holidays, where dozens of stalls were set up with local delicacies and various handmade items. One of the things I enjoyed most in Bucharest is drinking my cocktail at the city's rooftop bars while the sun goes down! 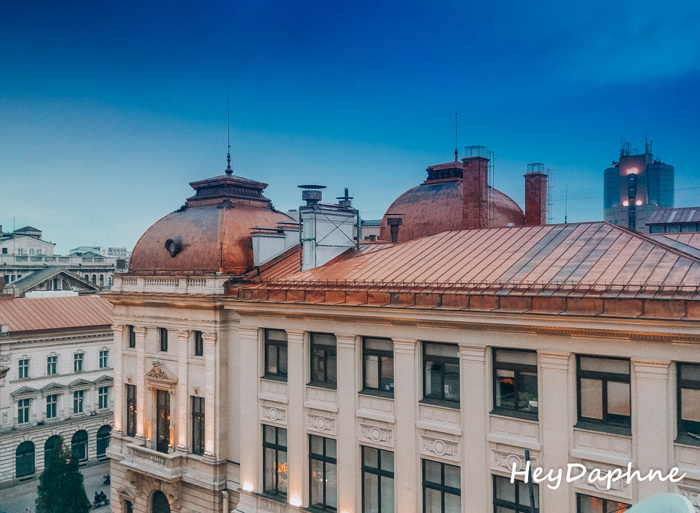 In Bucharest's Old Town the majority of the buildings are of exceptional architecture, which makes the view from above impressive. Pura Vida is a bar located on the top floor of the homonym hostel and although you need to climb enough stairs to get there, view and cocktails will compensate you. 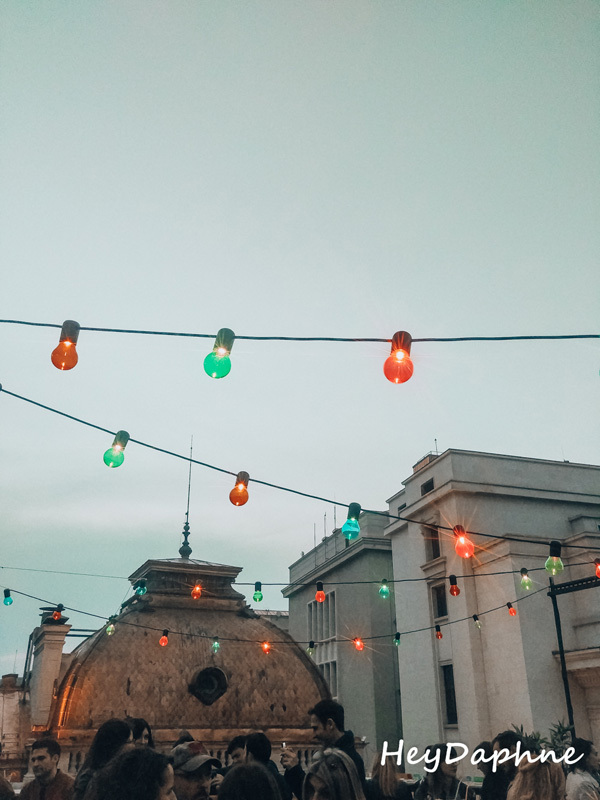 Linea Closer to the Moon is perhaps the most beautiful place in the city to enjoy the sunset, as the top floor view is beautiful while you can also enjoy your drink in an igloo. 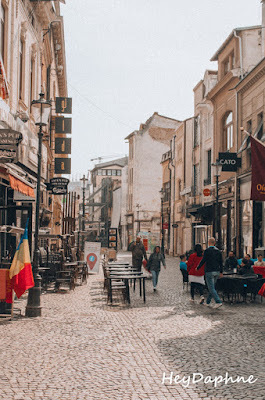 Beyond the sights and the beauties of the city there are also 3 other reasons why you should visit Bucharest. 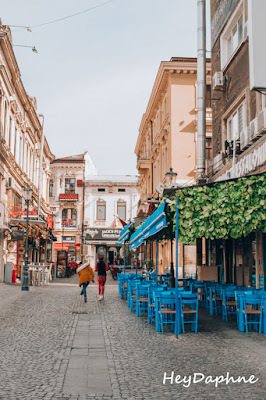 Whether you are looking for a destination to spemd the next 2 or 3 days, even if you are afraid of flights and want to avoid long-haul flights, Bucharest is a destination that meets your needs as the flight to the Romanian capital lasts less than two hours from the majority of European cities! 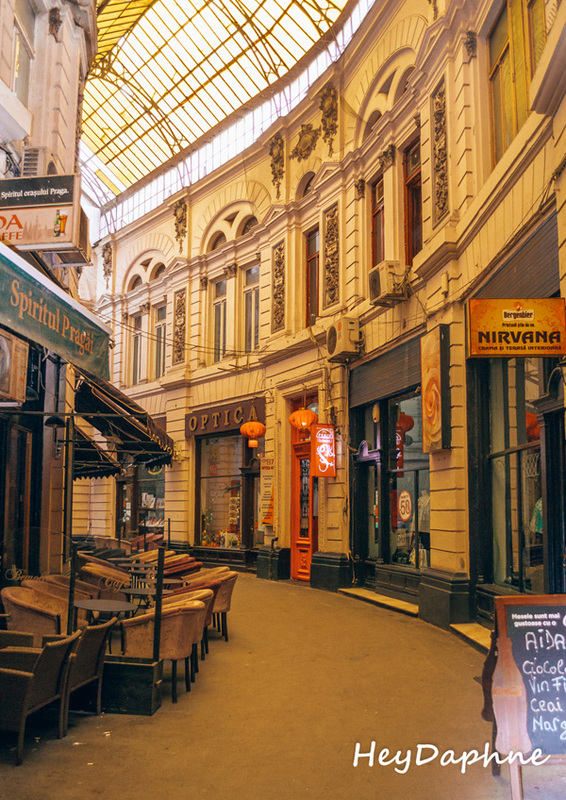 If you are looking for a cheap destination, Bucharest again meets your needs. The local currency is Leu, whose equivalent is 1euro = 4.62 leu. What does this mean in practice? A double room in a hostel costs around 20 euros per night, while a double room in a 4 star hotel costs about 60 euros. Air tickets to the capital of Romania are also very cheap, as many low cost airlines fly to Otopeni airport! 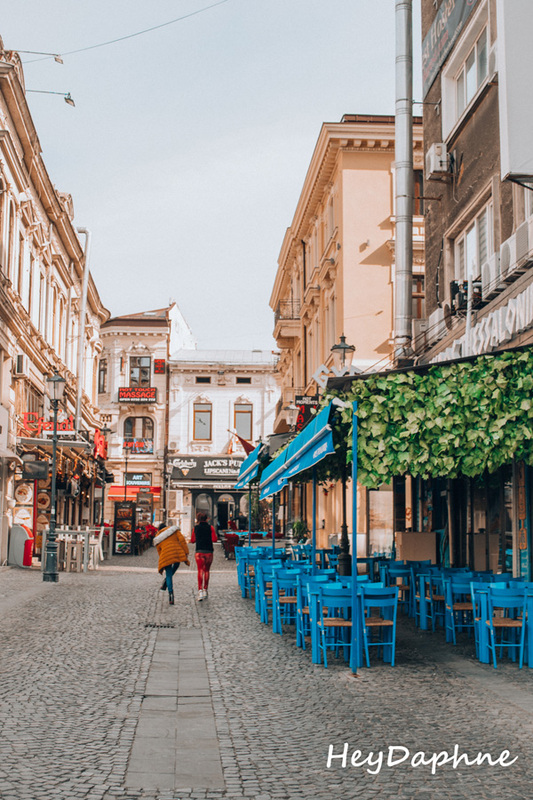 If your criterion for choosing your next destination is nightlife, Bucharest again meets the requirements. 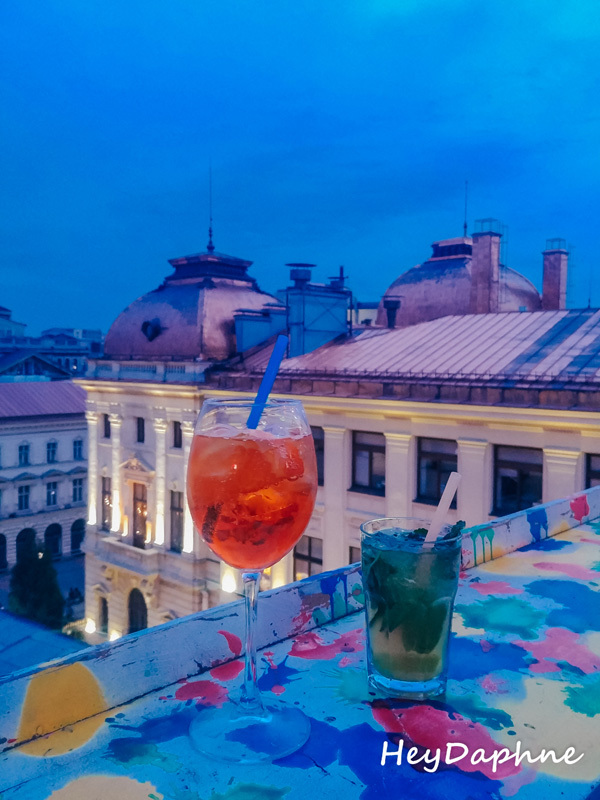 Bucharest does not look like the other European capitals that seem to be sleeping after 9 pm. Clubs with famous Djs from all over the world, music scenes and bars in the heart of the Old Town are open until the morning. Since I finished with what I think that makes Bucharest attractive to the visitor, now is time to tell you why the capital of Romania is on the list of cities I would not like to visit again. 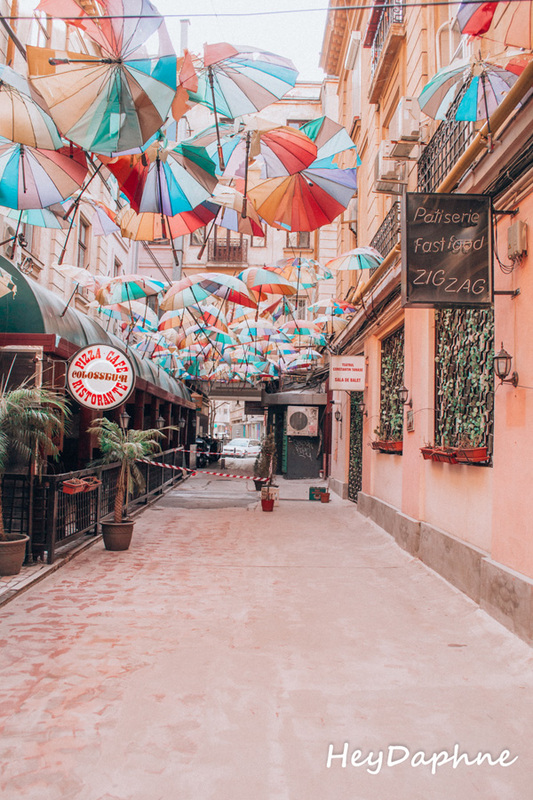 If I had to describe Bucharest in one word it would be indifferent. You may are curious about how I ended up to this. I'll explain right away. But before I do it, I will tell you that I am sure that you may have already visited Bucharest and loved it or heard the best about this city from your friends. My intention is not to prevent someone from visiting it and to discover it on his own, I just feel that I have to be honest with you. For me Bucharest is by far the most impersonal and indifferent city I have visited so far. And now that I think about it, maybe that was what Ceausescu wanted to achieve, so he succeeded! 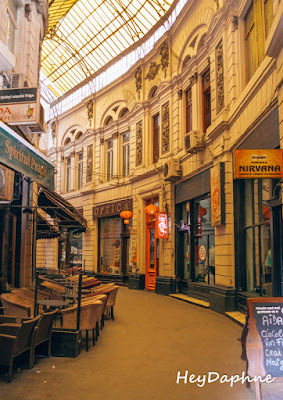 Bucharest is a city that despite its liveliness looks dull and abandoned. 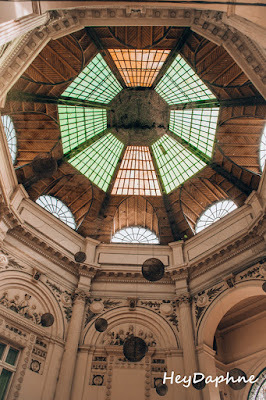 Buildings of indescribable beauty that would be envied by every capital of the world have been left to ruin. People who make good efforts to develop city tourism and others who recall the past. A city that deep inside it has not decided whether it hates or loves the Communist regime and as long as it does not do it, there is no hope of creating its own strong identity.